Psychic Sight is one brand under the umbrella company Bureau Telecoms Ltd, by subscribing you are consenting to receiving newsletters from Bureau Telecoms Ltd and its associated brands. Your data will be processed in accordance with our Privacy Notice. Marketing materials may include newsletters, updates about changes in legislation or delivery of our products, new or improved services we are offering and special offers. We want to reassure you that we take the processing and handling of your data very seriously. We do not and never will sell your data to a third-party or allow any third-party access to your data for marketing purposes. If you have opted-in to receive marketing materials from us, we will continue to send to you until such time as you change your preferences or unsubscribe, or we deem a suitable amount of time has passed since you last used our service and consider that you are no longer interested. If you consent to receive marketing newsletters from Bureau Telecoms Ltd please click the subscribe button below. For added security, on receipt of your subscription we will send you an opt-in email, you will need to click on the link in this email to confirm your sign-up request. The sender will be Bureau Telecoms Ltd, and the email will come from [email protected] please add this address to your contacts/safe senders to avoid the mail being marked as spam and going into your junk folder. If you would like to view the content of the latest newsletter from Psychic Sight, but do not wish to subscribe to have it sent to you direct you can download it below. 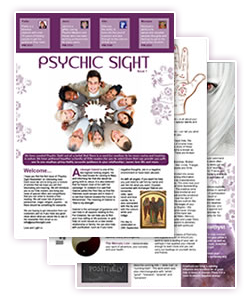 Download the latest newsletter from Psychic Sight.